Frans joined AxonIQ when it was founded in July 2017. 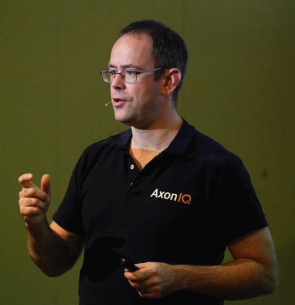 At AxonIQ, he divides his time about 50/50 between sales and evangelism around Axon Framework and AxonIQ products, and actual (Java) programming of these products. Before this, Frans built up experience in Java software development (Inter Access, Trifork), as well as in information security (PwC, Hewlett Packard). His last role prior to joining AxonIQ was to represent the Fortify application security suite (static and dynamic analysis) in the Benelux and Nordics. Frans has run several lab very successful lab sessions in the past (for instance, around Cucumber and Groovy) and knows what it takes to ensure that such a session becomes a great learning experience for all participants.